Wearing this beautiful Black Mask with Lace Veil Venetian Mask, all eyes will be on you. 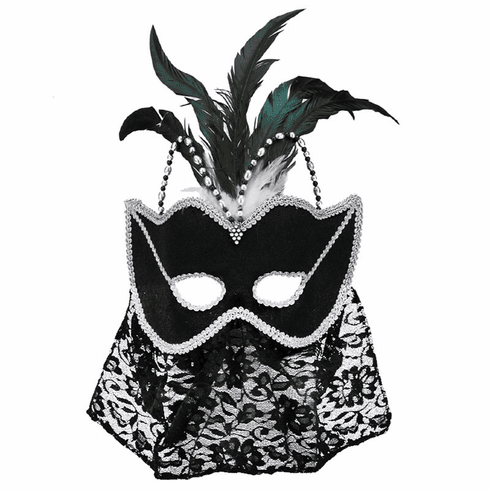 This stunning mask is perfect for Mardi Gras, carnivals, and masquerade balls. The turquoise green and black feathers look great with the decorative beads. One Size Fits Most Adults.